On May 20, 2013 Steve Smith of Alaxis Press started a Kickstarter campaign to promote and fund the release of the English translation of L'Enfant Penchée: The Leaning Girl. The campaign ran for 45 days until July 6th, 2013. The goal of the campaign was to raise $30,000. Smith succeeded in his goal and $34,595 was raised by 499 backers. The production of the first English translation of an Obscure Cities album, since NBM Publishers published the second volume of The Invisible Frontier in 2004, could start. “The Leaning Girl has been one of my personal favorite books since it first came out. My original French edition is literally full of post-it notes on which I used my English-French dictionary to translate the word balloons for my personal reading.”, says Smith. 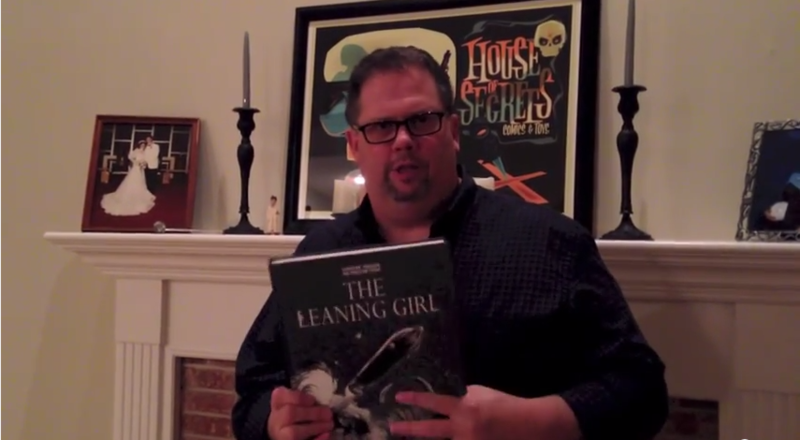 Holding a copy of The Leaning Girl in his hands, how do Smith look back on this Kickstarter project? Also the international shipping charges took as much of 1/3 of the money raised. An attempt to find an European agent to do the European fulfillment failed. The Leaning Girl is just starting to grab hold of America. Because the printing process was much longer than anticipated, Smith lost his initial orders from the largest distributor. But the book is finally now listed in the August issue of Previews from Diamond Comic Distributors. This will constitute the largest order for the books so we will see it on store shelves around the middle of September. Mary, The Little Leaning Girl will be published just in time for the holidays. It will be a beautifully illustrated children's book retelling the story of young Mary Von Rathen upon waking up to find she now walks at an angle. 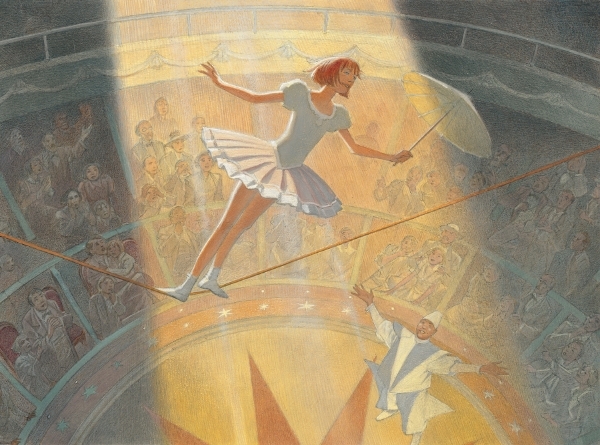 Told in a lighter, more whimsical narrative than The Leaning Girl, this 40-page book was written by Benoît Peeters, illustrated by François Schuiten. In December also The Theory of the Grain of Sand will be published. The Theory of the Grain of Sand is an incredible story originally produced in two volumes. Alaxis Press will be releasing the book in a single volume. The Theory of the Grain of Sand tells the story of Gholam Mortiza Khan who comes to Brüsel to sell some jewelry to Elsa Autrique. Before the sell can be closed, Khan dies in an accident. This is the start of some events that are investigated by Mary von Rathen: accumulation of sand in the apartment of Kristin Antipova, accumulation of stones in the house of Constant Abeels and Maurice who is loosing weight by the day. The events have a catastrophic effect on Brüsel. Time is of the essence. In this way Steve Smith continues on his plan on making The Obscure Cities very successful in the US and other English-speaking countries. One of the major steps to introduce Schuiten and Peeters to the US is their invitation as special guests to the San Diego Comic Con International. The Comic Con will be held from July 24 - 27, 2014. 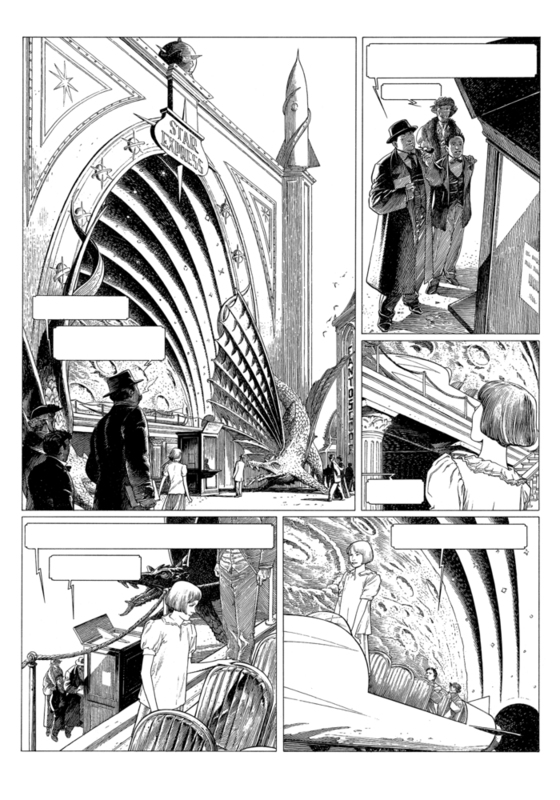 Schuiten and Peeters will have two official convention autograph sessions on Friday, July 25, from 12:30pm - 1:30pm in AA19, and on Saturday, July 26, from 4:30pm - 5:30pm, also in AA19. If you are going to Comic Con, make sure to set aside time to attend the “Spotlight on Benoit Peeters” on Saturday, July 26th, from 2-3pm followed immediately by the “Spotlight on Francois Schuiten” from 3-4pm. Both in Room 4. Steve Smith will be moderating both discussions, sharing with the audience film clips and images from their careers. “In addition, I will have Benoît and François in my booth, #4401 on Thursday for an hour to sign and meet fans. Also, Benoît and François have been asked to present the Eisner Award for best foreign comics at the Awards ceremony held during the convention”, according to Smith. 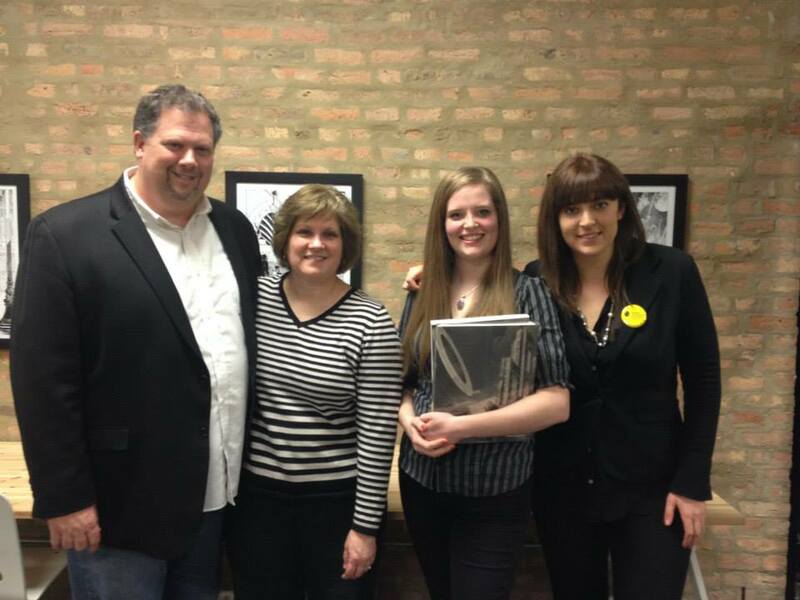 And it all started on May 2013 when the Leaning Girl project kickstarted. This blog post was created on 2014-07-15 at 15:42 and last modified on 2018-02-18 at 10:00 by Joseph Le Perdriel.